The El Rey Del Mundo Choix Supreme is an underrated light yet rich Corona Extra, 5" (127mm) long, of 48 ring gauge, and comes in a 25 cigars box. 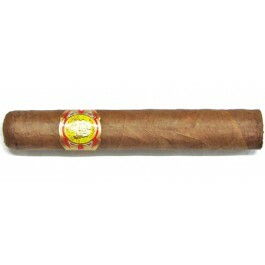 However, this smoke has a character of its own; it is a smooth cigar, which has complex flavors. It is a go-to-cigar for any aficionado that is willing to have a taste of Habana. Its perfect construction and wonderful aromas make it a stogie that worth to discover. Great construction and easy draw. • Rich honey almond complex flavor. • A bit peppery. Very nutty, and tons of dark chocolate. Good & solid summer smoke. Good value for money. The wrapper is beautiful and moderately-veined, it is soft and pleasant to the touch. The draw is very comfortable. The smoke was ample and the ash held for 1.5 inch. The beginning is pleasantly woody with slight spice. The balance was perfect. The Choix Supreme is very easy to smoke, it's definitely a great cigar for beginners. As it progresses, creamy and smooth notes of coffee with milk appear. It becomes more powerful near the last third, with rich honey notes mixed with just a bit of earth and leather. In summary, the El Rey del Mundo Choix Supreme is very underrated. It is a hidden gem. It has enough flavor and complexity to be a good fit for a morning smoke with a light coffee. It would be recommended for beginners, can be a nice initiation to Cuban cigars. Definitely worth trying.